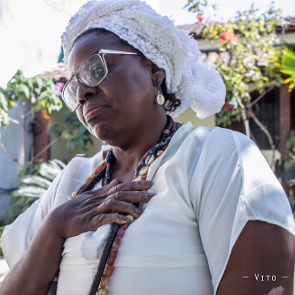 Heloisa Helena Costa Berto, also known as Luizinha of Nanã, is a human rights defender and Candomblé priestess (yalorixá), who works to combat discrimination against Afro-Brazilians and promote religious freedom. Heloisa was a resident of Vila Autódromo, a favela in the west of Rio de Janeiro on the edge of the Olympic Park. In February 2016, authorities destroyed her home and her spiritual centre to make way for the Olympic Park. They gave her little time to save her religious items and her belongings. The human rights defender has also been fighting for the religions of African origin, such as the Candomblé faith, to be included in the ecumenical center of the Olympic Village. 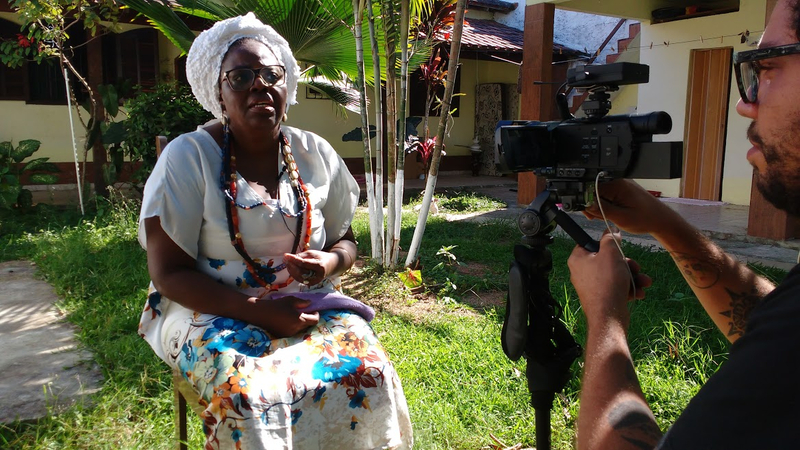 Recognising the importance of African heritage in Brazilian society, according to Heloisa, would be an important step in the struggle against prejudice and discriminations. On 11 May 2016, the human rights defender received the Dandara Award from the Rio de Janeiro State Assembly. In her acceptance speech she said: "This prize represents a recognition of our everyday struggle. Blacks who daily suffer veiled prejudice are treated as if they exaggerate, as if racial prejudice doesn’t exist in this country. But those who suffer know that yes, it does exist, disguised in pleasantries and hidden behind jokes."